ATTN Micro Crystal Collectors ! 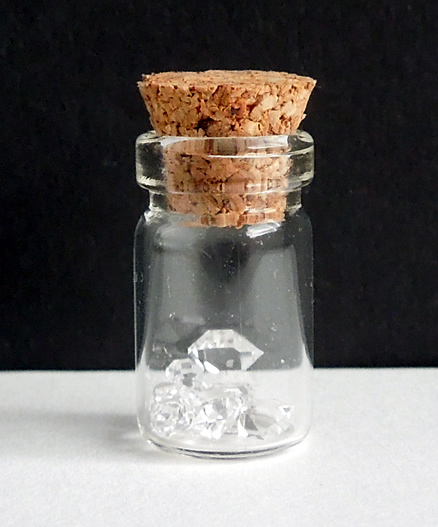 We consider any Herkimer less than 4 mm a micro specimen. This 1 ct. of 9 AA grade Herkimer Diamonds measure 2-4 mm. 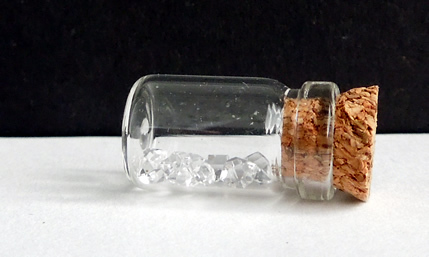 These teeny, perfect double terminated crystals are kept securely in a cork topped glass vial. They would be a fun and unusual addition to any crystal collection. 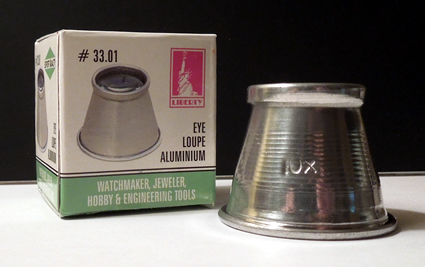 Use the included loupe (pic below) to fully appreciate them ! NOTE: When viewing with a loupe, place the loupe directly at your eye and move the crystal to focus. Group of AA grade Herkimer Diamond micro crystals.